A beaver appears on the reverse of the state flag, and Oregon's nickname is The Beaver State (stemming from the early 19th century when fur hats were fashionable and Oregon’s streams were an important source of beaver). Beavers were over-trapped by early settlers for their fur, eliminating them from much of their original range. Native Americans and early settlers also ate beaver meat. The trapping routes used by early "mountain men" later became known as "The Oregon Trail," traveled by thousands of pioneers in the 1840's. 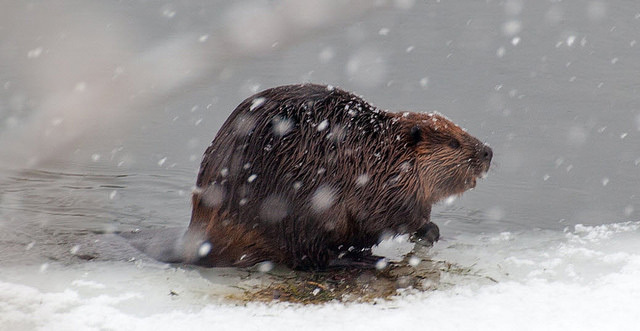 Through management and partial protection, the beaver is reestablished throughout Oregon. Beavers are the second-largest rodent in the world (after the capybara) and are closely related to squirrels. Known as "nature's engineer," the beaver's dam-building activities are important to natural water flow and erosion control. Beaver dams are created in order to build their homes in the resulting ponds (known as beaver lodges). The lodges serve as protection against predators (such as coyotes, wolves and bears) and provide easy access to food during winter. Beavers always work at night and are prolific builders, carrying mud and stones with their fore-paws and timber between their teeth. 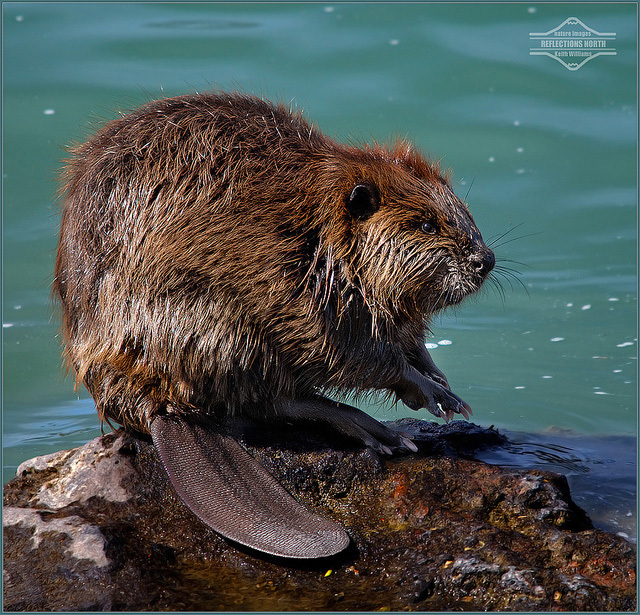 The largest known beaver dam (discovered near Three Forks, Montana) was 2,140 feet long, 14 feet high, and 23 feet thick at the base! Beavers have webbed hind-feet, and a broad, scaly tail. They have poor eyesight, but a keen sense of hearing, smell, and touch. They use their broad, flat tails to create a loud slap on the water before diving for cover into their lodge when startled or frightened. This slap can be heard over large distances above and below the water. When a beaver gives this danger signal, all nearby beavers will dive and may not re-emerge for some time. 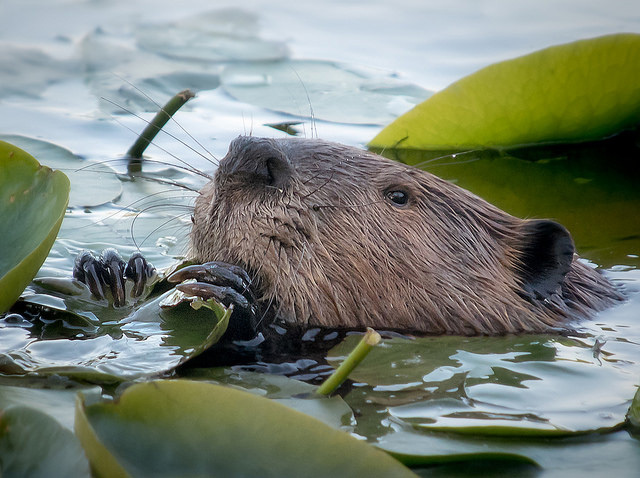 The American beavers' favorite food is the water-lily , which grows at the bottom of lakes and rivers. Beavers also gnaw the bark of birch, poplar and willow trees, and during the summer consume varied herbage and berries.